Drububu.com is the digital playfield of Arjan Westerdiep. Here you will find animations, tutorials, applications and artwork which I made over the years since the end of the previous century. You can hire me or just enjoy your journey. Commercial work, This page features some commercial projects which I carried out for several different clients. HARDWARE Real-time 3D on an ATmega328. Generate an Arduino sketch with your own 3D model online. WEBGL Procedural real-time webgl animation showing approximately 10,000 individually animated cubes. 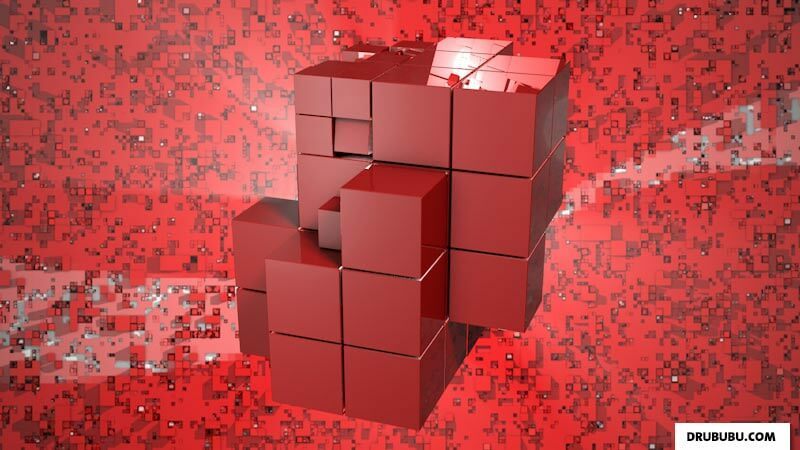 All cubes together render a voxel representation of a three-dimensional object. 2D/3D A three-dimensional computer model is translated into a two-dimensional representation: a flat surface. TUTORIAL TSP art or travelling salesman problem art is an image which can be drawn using one single line. If you draw it by hand, you can use one single stroke without lifting your pencil. 3D APP Voxelizer converts your 3D model online into a 3D voxel object which can be used in your preferred 3D program. TUTORIAL All you need to know about Bézier curves and information about how to calculate them yourself. CGI The legolizer software converts any triangular mesh, a 3D model, into a 3D Lego model. TUTORIAL Tutorial, Learn the basics and more of pixel-art in the pixel art tutorial. APP Bitmap to vector, Convert your image into the scaleable vector graphics open fileformat SVG, XML, JSON or 3D model.